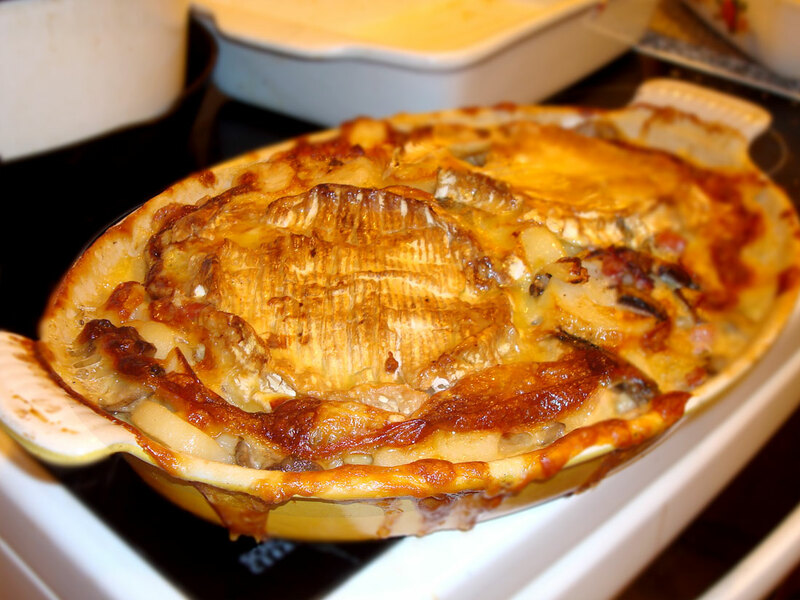 Tartiflete – best potato winter warmer ever! Like potato gratin on steroids – this is the best cheesey potato dish ever! Trust me. “Cheese people are the best people” says Tony in his cheese-y podcast and he was proved right by the young French Cheesemonger at Moore Wilsons. I was making Tartiflette, the cheeseyist, most delicious potato gratin you have ever tasted, and was asking about rebochon. I couldn’t find this French, washed rind cheese from the Alps and when I explained I was making Tartiflette his eyes lit up! He asked how I was making it and what I was putting it it. 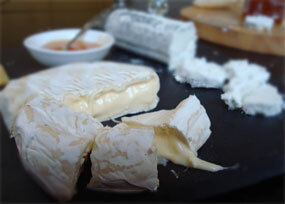 Unfortunately they had no reblochon so he suggested I use a raw milk camembert instead of reblochon. He told me excitedly how it was traditional to cut it in half to make two circles and to lay them cut side down so the cheese melts into the the potatoes. You could almost see him remembering the Tartiflette he ate as a child at his grandmother’s table as he suggested adding mushrooms. Because mushrooms go with bacon, cheese and cream and I like the fat he said, blushing in his charming French accent. So cheese people, when winter’s cold is starting to bite, I really recommend you try this. If you can’t get reblochon, I reckon a Kapiti Ramara would be tasty. 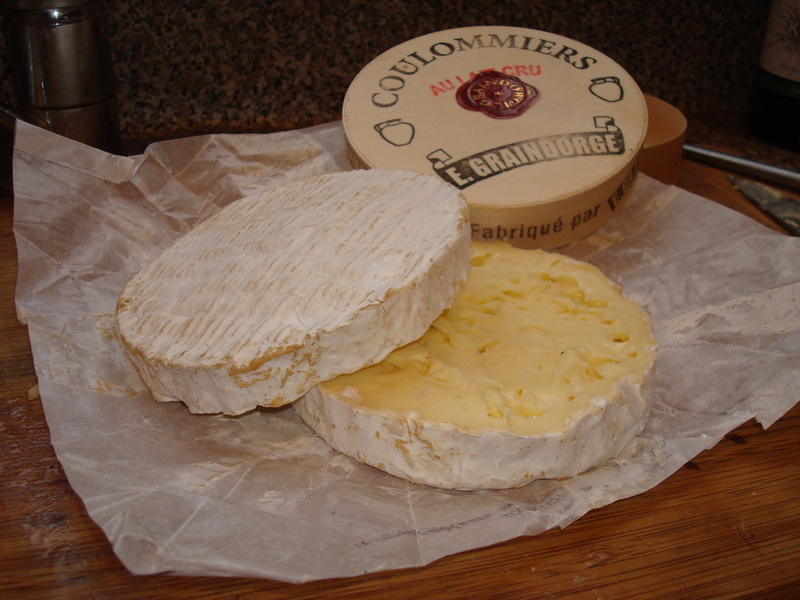 I wouldn’t bother with a tasteless NZ camembert, but the flavoursome French one was good too. The recipe also uses duck fat which is just that little more luxuriant. I keep some in the freezer, ready for moments like these. 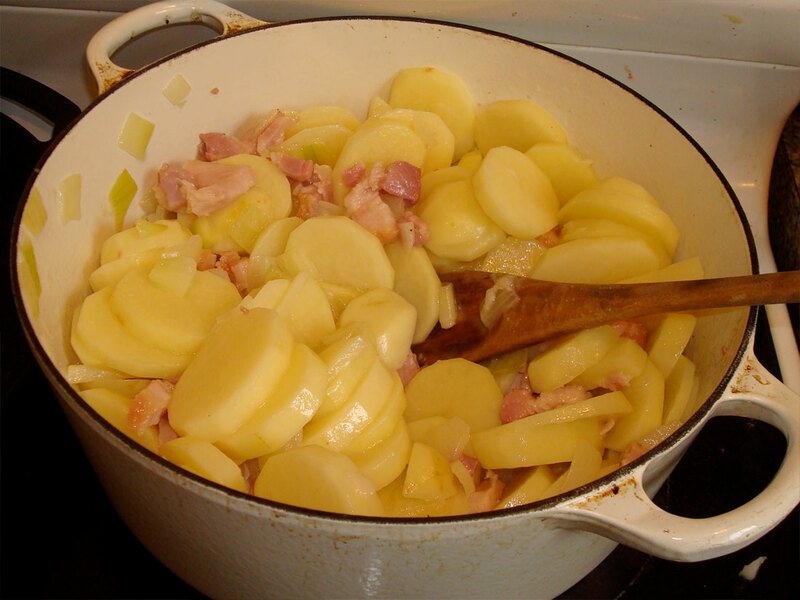 Peel the potatoes, cut them into slices, 1/2 cm thick. Roughly chop the onion. Heat the duck fat in a heavy pan, I used a dutch oven, add the onions and lardon and saute gently til soft, 3-5 minutes. Add the potatoes and saute for another for another 5 minutes. Add the wine, give the potatoes a stir, season with salt and pepper, cover and saute gently for 10 minutes. Grease the gratin pan with duck fat, squash the garlic glove and rub it all over the pan. Add the creme fraiche to the potatoes and transfer to the gratin dish. Slice the cheese in half, flat wise and lay it cut side down on top of the potatoes. Place in the hot oven and bake for 10 minutes. Turn the heat down to 200C and bake 10 more minutes. Turn down the oven and back for another 10 minutes. I’d check it now, the potato should be pretty cooked by now. Turn off the oven and leave the gratin in there for another 10 minutes with the door closed. I enjoyed this with a chardonnay. But if I used reblochon or Ramara I’d try a dry Reisling or a Gewurtztraminer. Lovely to meet you, Lucy! This looks great, but what weight of cheese is half a Reblochon? Hi Anne – Great to meet you too, I ‘m booked at the food bloggers conference thanks. I don’t know about the weight of the Reblochon. It’s an AOC cheese and I think comes in two sizes. The little one is about the size of a Camenbert. and the the big one is about an inch extra in diameter, about the size of the Couloummiers I used or a Kapiti Ramara. Previous Previous post: Cheese Scones – best recipe ever!